Blog Home > Writing Tips > Prose vs. Poetry: What are the Differences? Prose vs. Poetry: What are the Differences? What is poetry? Once you conduct a little research, you will find out that poetry is a type of condensed imaginative writing performed on the basis of high language command. In other words, the question is about well-arranged words composed with a rhythm, meaning and sound, “peppered” with a specific emotion. On the other hand, the prose is nothing but just a work of literature that is created on the basis of simple language used in everyday communication. The beauty of this literature form lies, first of all, in its syntax. Thus, it is highly important to keep in mind all the differences and similarities of prose and poetry when dealing with both of them. 1. They both have got an idea! Both prose and poetry include the tools needed to express ideas. They have a specific viewpoint, of observation, or finding shown to a particular reader. It is highly important to remember that all the ideas provided within the prose or poetry content are presented in a clear manner that will end up with a certain (understandable) conclusion. 2. Literary devices are a must! Literary devices are needed to generate hooking effects in this or that form of writing. Once the author makes use of this or that device (metaphors, parabolas, symbolism, etc. ), he/she gets an opportunity to create the desired literature effect and to drive a particular viewpoint to the audience. Loose sentences in prose and sentences arranged in verses, lines and couplets in poetry – make sure you know the difference! Remember, all sentences in poems should start and end at different points. As for the prose, the writings should be composed on the basis of grammatically correct, simply written and loosened sentences that transform into the paragraphs easy to understand. Start the sentences with the capitalization and end them up with a question, a full stop or an exclamation mark. Make sure you do not underestimate the issue you’re going to describe. The thing is that it will define the type of writing you will have to choose. A long, long time ago, poetry was the number one tool used to discuss very special occurrences or to express the deepest emotions – be it love, death, poverty, war or corruption. Nonetheless, prose is widely used in everyday oral and written communications. 5. Rhythm makes the poetry! Remember, rhythm is what makes the poetry unique! Thus, you don’t have to use rhythm in prose, but make certain to provide it in poetry. You may achieve it by means of repetition and rhyme. This will help you to create a certain rhythm within your poetry. As a writer, you will definitely feel the beauty of the written words. On the other hand, prose is the simplest tool used to describe aspects of life in a simple language. 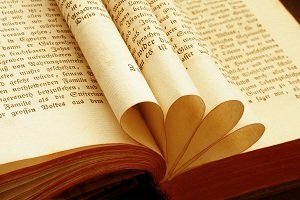 The similarities and differences of prose and poetry make them both not only unique, but also very interesting and captivating to work with! This tips has been written by WorldEssays.com writers.